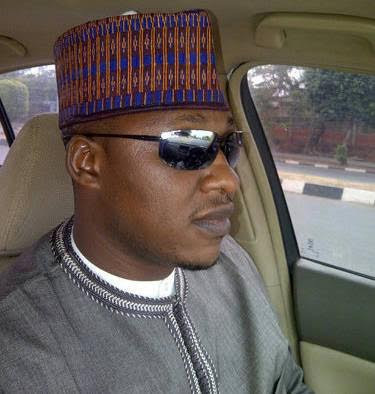 According to a report by Sahara Reporters, President Buhari last Monday June 22nd ordered the arrest of one Musa Yola ( pictured above), said to be the immediate younger brother of his wife, Aisha, for extorting N300 million from an unnamed businessman with a promise to secure an oil bloc for him through his brother-in-law, President Buhari. After finding out what happened, President Buhari reportedly ordered that Musa be brought to him in handcuffs along with the said businessman he duped. President Buhari is said to have lambasted the man for parting with such a huge sum of money when he knew that he, Buhari, will never participate in any fraudulent activity. He ordered the SSS officers attached to the villa to thoroughly investigate the matter and also ensure that the Businessman's money is refunded. A source in the SS who spoke on condition of anonymity said Musa has since returned the businessman's money and has been released on bail.